Darkness divides opinion. Some are frightened of the dark, or at least prefer to avoid it, and there are many who dislike what it appears to stand for. Others are drawn to its strange domain, delighting in its uncertainties, lured by all the associations of folklore and legend, by the call of the mysterious and of the unknown. The history of attitudes to what we cannot quite make out, in all its physical and metaphorical manifestations, challenges the notion that the world is possible to fully comprehend. Nina Edwards explores darkness as both physical feature and cultural image, through themes of sight, blindness, consciousness, dreams, fear of the dark, night blindness, and the in-between states of dusk or fog, twilight and dawn, the point or period of obscuration and clarification. Taking readers through different historical periods, she interrogates humanity’s various attempts to harness and suppress the dark, from our early use of fire to the later discovery of electricity. She reveals how the idea of darkness pervades art, literature, religion and every aspect of our everyday language. 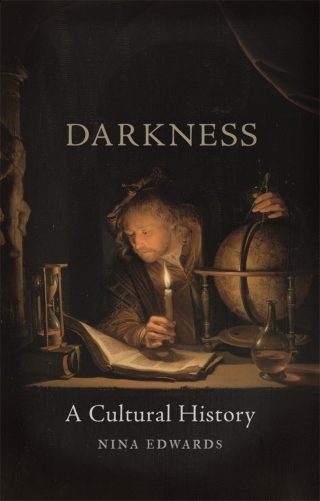 Darkness: A Cultural History shows us how darkness has fed our imagination. Whether a shifting concept or real physical presence, it always conveys complex meaning. Nina Edwards is a freelance writer and the author of On the Button: The Significance of an Ordinary Item (2011), Weeds (Reaktion, 2015), Offal: A Global History (Reaktion, 2013) and Dressed for War: Uniform, Civilian Clothing and Trappings, 1914-1918 (2014). She lives in London.